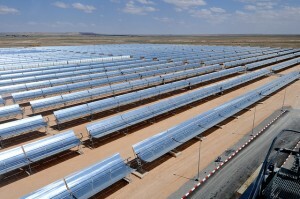 Renewable-energy production in Morocco, which aims to have 2GW of solar by 2020, got a shot in the arm late last year when the World Bank rubber-stamped a $519m finance package for the 350MW second phase of the concentrating solar power (CSP) plant under construction in Ouarzazate. The first phase of the project, being built by Saudi Arabia’s ACWA Power under a so-called BOOT (build, own, operate and transfer) contract where ownership will eventually be handed back to the Moroccan government, is due for completion this year. Contracts to build the 150-200MW Noor 2 and the 100-150MW Noor 3 CSP plant are expected in the coming months.